It's that time of year again. At least two bears have been spotted in Vienna, Virginia, Fairfax County police said Monday. A resident saw the black bear and cub in the 1500 block of Windstone Drive about 7 p.m. Sunday. The area is near Difficult Run Stream Valley Park and Wolftrap Stream Valley Park. Police say the bears did not pose a problem, but they did stay on the property for about an hour. It's not unusual to see bears this time of year. 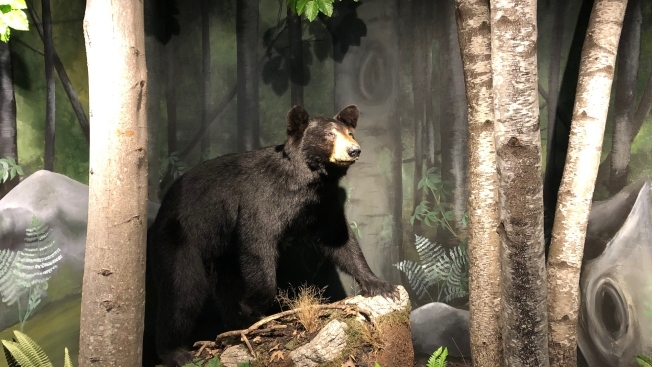 Bears and cubs typically leave their winter dens between mid-March and early May in Virginia, according to police. If you see a bear, never approach, try to feed or corner it. Instead, give the bear space and allow the bear to escape. Bears that growl or smack the ground are warning you that you are too close. Bears are always looking for food sources, so make sure to secure any pet food bowls, bird feeders, compost piles, trash cans, bee hives, vegetable gardens, fruit trees or agricultural crops you may have outside.